Mt. Shasta Union School District Upgrades to CA School Nutrition Solution eTrition plus EZMealApp! Harris School Nutrition Solutions is pleased to announce that Mt. Shasta Union School District, located in Mt. Shasta, California, will soon upgrade to eTrition SaaS and EZMealApp.com, two of our CA school nutrition solutions. Mt. Shasta can look forward to increased flexibility and efficiency with the upgrade to eTrition SaaS, our cloud-based solution. The district will now have greater functionality with the ability to access the entire system from multiple computers – they are no longer tied to one local computer. 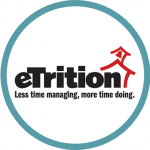 With eTrition SaaS they can access information anytime, from anywhere, from any device with Internet access. Another addition for Mt. Shasta is EZMealApp.com, our online free and reduced applications system. EZMealApp.com provides greater efficiency over hand processing paper applications, ultimately saving the district time and money.